After a long delay the UK MoD has produced its new doctrine publication on the use of Unmanned Aircraft Systems (commonly known as drones). Its predecessor, ‘The UK Approach to Unmanned Aircraft Systems’ (JDN 2/11), caused a stir in 2011 as it acknowledged real ethical and legal issues with the growing use of these systems. The subsequent press coverage so horrified the MoD that they removed the publication from their website only restoring it six months later when things had calmed down. Perhaps that is why the new document is so bland. Pressed by MPs about the use of armed drones, Ministers have regularly referred to the promised publication of this new document. However, as Joint Doctrine Publications are primarily aimed at enabling serving military personnel to understand how these systems are to be used, it is bound to disappoint a wider audience. Even though it does address some of the ethical and legal issues that are raised by the use of armed drones – albeit reluctantly and simplistically – it can hardly be said to address many of the policy questions that have been raised over the past few years. In particular there is a yawning gap in any discussion of the use of armed drones outside of armed conflicts, something that ministers said it would cover. 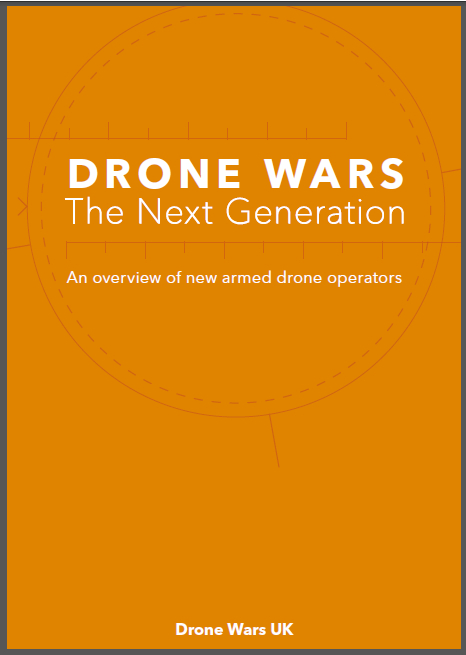 In essence, there is little if anything new on the UK use of drones in this new document. Overall it tries to put across the argument that the use of Reaper has become “normalised” and “routine” and to suggest that opposition to the growing use of armed drones is “illogical”. It warns its readers not to listen to the “what ifs” and subjective opinions of critics, but rather to pay attention to the ‘facts’ which the MoD alone is privy to. It starts by setting out very briefly the background of the UK’s use of different types of unmanned drones, and describes the terminology to be used (definitely not ‘drones’). It then looks at the issue of autonomy and automation. While this is to be welcomed as drones are an important ‘gateway’ to autonomous weapons systems, there is little more than sophistry here. There is a lot on the definition of these systems, but the definitions used by MoD are those which serve its purpose, rather than those proposed by respected international organisations such as the International Committee of the Red Cross (ICRC). The document seems to be attempting to ‘define away’ issues relating to the development of autonomous weapons, and aiming to providing reassurance rather than substance. It states that “increasing automation, not autonomy, is required to improve capability”, yet the MoD’s own Defence Science and Technology Laboratory (DSTL), for example, has listed autonomy as one of its research programme areas. Next the document tries to, as it puts it, “debunk” some of the legal, moral and ethical “allegations that are commonly levelled against remotely piloted aircraft.” However the ‘arguments’ that it puts forward to ‘debunk’ are caricatures of the ongoing criticism. What it calls ‘Argument 1’ for example conflates discussion about whether drones are being used outside of international law (in terms of resort to force) with arguments that civilian casualties from drone strikes are disproportionate. While it focuses a great deal on Article 36 reviews on whether the technology is capable of complying with international law (which incidentally the MoD refuses to release), it is absolutely silent on the use of these systems to undertake targeted killings beyond the battlefield. We know from press reports that RAF officer have expressed disquiet about the use of drones in this way. Here would have been a perfect place to address that issue. As Air Marshal Iain McNicoll, former deputy Commander-in-Chief of Operations at RAF Air Command, who was closely involved with the UK drone programme, told the Telegraph in 2015 “It would be enormously helpful to members of the armed forces to have a single, clear and compelling legal basis for this so-called new departure.” However there is nothing. 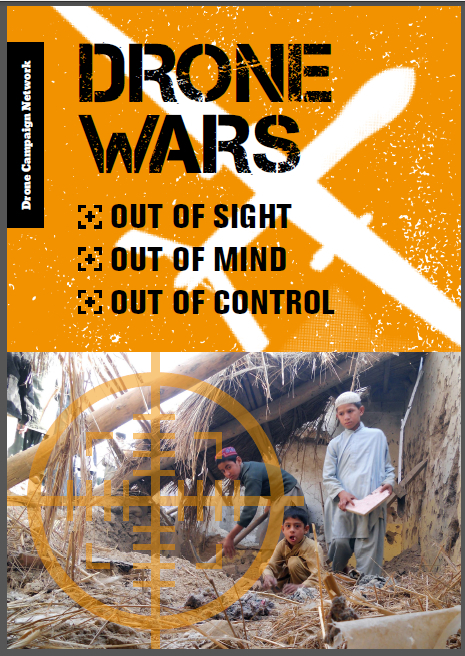 Suggestions that drones are killing disproportionate numbers of civilians come directly from an internal US military study rather than from campaigners. The document then quotes the former UN Special Rapporteur on Human Rights’ argument that drones are capable of reducing the risk to civilians “if used in strict compliance with the principles of international humanitarian law.” His emphasis of course, was clearly on the “if”. What it calls ‘Argument 2’ again caricatures important arguments about the impact of hyper-remoteness and the ‘risk free’ nature of remote warfare. It is not just pilots at the sharp end who may be subject to the so-called ‘PlayStation mentality’, but all those along the decision making chain. The suggestion that campaigners are arguing that drone operators “kill indiscriminately” is simply not true and is a crude attempt to distort the debate. Despite what the document says, we saw in 2014 British drones doing exactly this. Even though MPs narrowed the authorisation of the use of force against ISIS to strictly within the border of Iraq, within weeks armed British drones were crossing the border into Syria, supporting US targeted killing operations before eventually engaging in their own. 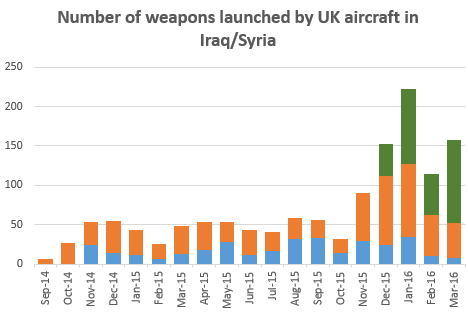 The fact that drones were already operating in Syria was then used to gain support for widening the UK military operation. The US use of drones ‘beyond the battlefield’ in Pakistan and Yemen too has clearly lowered the threshold for the use of force. Elsewhere as we have detailed before, a US Army College publication provides important evidence that drones are indeed lowering the threshold for the use of force. The MoD document quotes the 2014 Birmingham Policy Commission report on drones suggesting that drones will not lower the threshold “as long as Parliament plays its proper oversight function.” However, it is hard, as MPs have told us, to exercise proper oversight over drones when details of the use of armed drones are very difficult to obtain. The MoD now refuses to tell MPs (and the public) how many of the UK’s drones are deployed overseas, nor their location, even though they are willing to give such information for piloted aircraft operations. There are also clear signs that the government does not want the deployment of armed drones to come under the convention that sees parliament debating and voting on the deployment of military forces overseas except in the event of an emergency. While military officials argue that operations require political authorisation, politicians insist they are not experts and rely on military officials for advice and expertise. Herein lies the accountability gap which can only be overcome by greater transparency and much more public accountability. In its introduction, the authors say that part of their remit was to “increase transparency and understanding of how remotely piloted aircraft are used…” This is desperately needed and could have been achieved. Unfortunately we have little beyond a re-hash of the spin and sophistry that we have become used to.